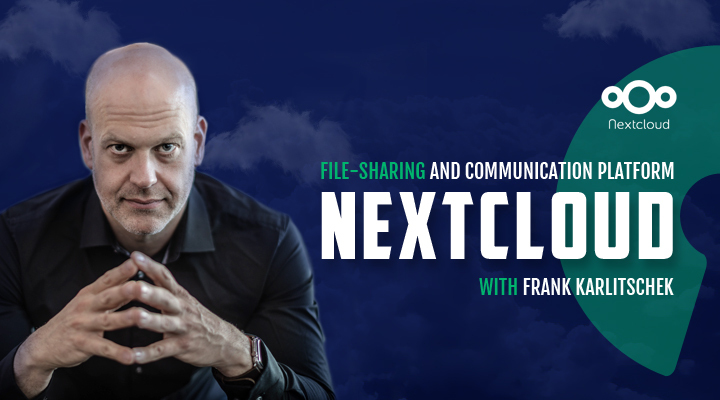 Frank Karlitschek is the Founder and Managing Director of Nextcloud, an open source file sharing and communication platform. NextCloud provides cloud, virtual desktop, and application hosting services for a range of organizations that include healthcare, education, finance, and government. 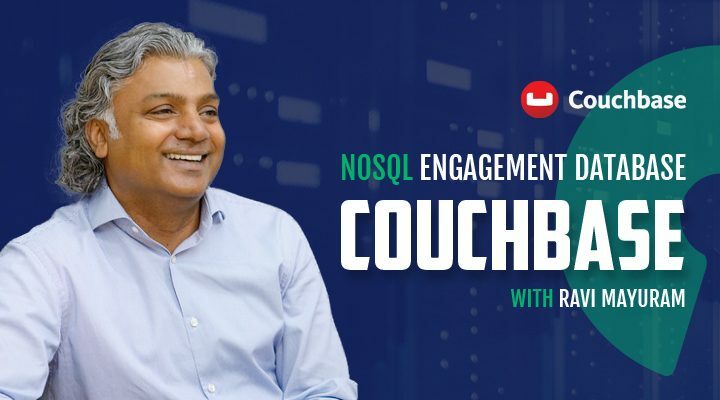 In this episode, Frank discusses the value of Nextcloud’s community contributors and why he believes transparency the best competitive differentiator. Michael Schwartz: Welcome to episode 10 of Open Source Underdogs, the podcast where we discover new recipes for open source business models from around the world. Frank Karlitschek is a free software developer, entrepreneur, and privacy activist. He is the founder of Nextcloud, which is self-funded and employee-owned. For those of you who don’t know, Nextcloud has been incredible success story with over a thousand contributors, and 50,000 plus commits. Frank is a true open source hero and inspiration. Frank, thank you so much for joining us today. Frank Karlitschek: Thanks a lot for having me. Michael Schwartz: So tell us about yourself, how’d you get involved with free software? There’s no real company around, it’s all self-organized, it looks so much better than Windows 95 at a time, I thought, and of course, I said like, “Next year this will of course conquer the desktop.” Then I went to work in the KDE community, for the Linux desktop for a long, long time, but yeah, things changed over time. Michael Schwartz: Nextcloud has an interesting history, it’s a reboot of a previous company in a project called ownCloud. In your 2016 blog, you mentioned a few changes for contributors, including no dual licensing, no requirement to sign a contributor license agreement, trademark held by a foundation, and making development planning a public process. Can you talk a little bit why each of these considerations were so important? Let’s start with no dual licensing – what do you mean by that? Doesn’t Nextcloud currently have Enterprise features too? Frank Karlitschek: Yeah, that’s a very big question. Where should I start? So the thing is that the Nextcloud community and also a lot of the people in the Nextcloud company, they have history in the former projects that they also founded, but then that wasn’t that successful at the end. So because of the history, we decided to do some changes, and as you mentioned, lots of those decisions were influenced by mistakes or problems that happened before the former project. So you mentioned the dual licensing, I mean, maybe I should explain what it means. Open source software is available under free software license, obviously, otherwise, it’s not an open source project or a free software project. The concept of dual licensing is that there is also a second license. If you want to use the software, then you can basically choose between two licenses. And the concept of dual licenses usually means that you have a free software license, the second license is usually not free software. It’s like a proprietary license usually which means that you have additional rights, you can do more things that you can’t do with open source license. But to get these rights, you have to pay. It’s usually a business model from companies who say, “Hey you can use this free software version. Or you can use this other version, but for that, you have to pay.” This sometimes gives the user the benefit that they don’t have to follow some of the restrictions of the free software project, or free software project as Nextcloud, it means that you can use it for free. You can change it obviously, but if you change it, you have to contribute those changes back to the community. And if you don’t want to do that, you can pay other companies, not like us, to not have this responsibility. But we don’t really like this concept, so the Nextcloud community has a strong opinion that everything should be open source and free software, and we don’t really like these proprietary licenses – we don’t do this at all. Michael Schwartz: I see. You know, when you mentioned in ownCloud, contributors had to sign a contributor license, I found that somewhat unusual. I’d actually never heard of that before – do you know why they implemented that change, and why did you want to get rid of it too? Frank Karlitschek: This is something I should have mentioned, you can only do this dual licensing if you have to complete ownership of the code. If the company owns the code, then the company can release it in a different license, and if you want to do the dual licenses, you have to own the code. So this means that every contributor has to give the ownership of the code to the company, and this is usually done via contract. If it’s the contributor license agreement, every contributor has to sign it, and then the company owns the code, and then they can do this dual licenses thing. As I mentioned, I’m not a big fan of that, I don’t think we should force contributors to sign a contract to give away the rights on their contribution. I’m a bigger fan of a community, where this is not needed. For example, the Linux community, in the Linux Kernel you don’t have to do that, you can send the patch and the patch is of course available under competitive license, like a GPL. And then it will be part of the software, but you don’t have to transfer the ownership to – I don’t know, the Linux foundation, or retailer, or someone. I find this weird. And it is also at open source project, like Gnome and KDE that do it the same way, and Nextcloud also does it that way. We don’t require any contract or transfer of ownership from the contributors, that’s something that happened in the past with ownCloud, as you mentioned, we don’t do this and we don’t like that. Michael Schwartz: So ownCloud took venture money, and then the company introduced on the advice of VCs, a dual licensing model, and at that point, the contributor license agreement was necessary. Frank Karlitschek: Yes. The thing is, if you are an investor, then of course you invest in something that you want to sell later to make a profit, you want to sell it to a high price of course. And to do that, you need to have as much intellectual property as possible to justify this high price. It’s really good if the company can say, “Oh, we own all the code, we own all the contributions.” But in the Nextcloud, we don’t want to sell the company, so we don’t care. Michael Schwartz: One of the things you mentioned was starting a foundation that owns a trademark – did you do that at Nextcloud? and then can license the trademark to the company. This is a bit a safety net, so if there’s any issue with the company, then the foundation could revoke this trademark grant and give it to someone else. Also, something that I learned from the past, I think the community needs to be protected from the success or no success of the company. Michael Schwartz: Have you made the planning process more public? That was one of the goals also. I know that at Gluu, we prioritize features, a lot is based upon paying customers, but how do you actually make the process public but also run the business and give your customers the features they want? Frank Karlitschek: We use GitHub a lot, it’s a bit controversial sometimes because now it is owned by Microsoft, but GitHub is like the place for us where everything happens. Obviously all the code is there, but also we use the issues, the tax, and also the issues of feature planning, and there’s like some nice project management, there’s planning features on GitHub nowadays, we use it for all the planning. So you can go there, and you can see the milestones, and you can see the texts assigned to issues, what version is planned, and so on. This is pretty transparent, and everybody can give feedback, a lot of people who communicate can give feedback. We are a company, we also have customers, and the customers have opinions, what they need, so we listen to our customers, and if they want to have a feature, then we do it. But if we decide that we do it, we also put it on GitHub, it will be part of the planning and everybody can give feedback. I think our contributing to a community is growing really nicely and I didn’t hear a lot of complaints, actually I hear the opposite, more and more people are joining Nextcloud every day. So I think this works out quite okay. Michael Schwartz: Sometimes I warn entrepreneurs that VC money can actually kill you. It can help you but it can also kill you. You mentioned in one of the articles that you said, “With venture capital, you have to limit yourself to doing things investors can understand, rather than what users and customers ask. Is ownCloud a cautionary tale of how VC can go wrong? Frank Karlitschek: First of all, I want to clarify that I don’t really have a fundamental problem with venture capital, it’s a fine model if everybody understands what it means. I think it’s really difficult, I wouldn’t say impossible, but it is really difficult to do it together with an open source project. Because an open source community has a different understanding, different goals than a VC might have. This is a challenge, and we don’t do this anymore. One of the issues was that we had to do something that VC understands. A good example of the past was that we had to decide which market we are in. So, at the time, Gartner created or defined the enterprise file sync and sharing market, and ownCloud at a time was like, “Okay, do you need the enterprise file sync and share?” – that’s good. But then our community decided to add other things, for example, implement a nice calendar and email integration, and contacts, and all kind of communication features, and chatting, and so on. And if you talk to Gartner, they’ll say, “Well, this is not enterprise file sync and share, you can’t do that.” They are confused, you’re not doing it right, you don’t have this product market fit. I don’t really care, because we want to do what our users want and what our customers want. I don’t really care if you fit a specific box. And it’s actually funny that nowadays Gartner changed the market from Enterprise file sharing and shared it to a collaboration platform. So actually the new definition is very similar to what we are doing, we’re doing communication and collaboration software. So we are basically doing something before Gartner defines a name for it. Michael Schwartz: Without VC money, how did you fund Nextcloud when you got started? Frank Karlitschek: The first few weeks and months were of course a big risk because we didn’t have any customers obviously, but very quickly after a few months, we got a few very big ones. After six months or something, it was very profitable, because we were very lucky to get a few very big ones. It was a bit of a gamble of course. If you want to found a company, you are not really sure how it would go, but, yeah, this is how it worked out. In the first few weeks, it was of course tricky, because I mean, we didn’t start from zero, we started with 12 people already, so the first few weeks it was a challenge. But as I said, we were really happy that we got some customers very fast. Michael Schwartz: How do you say segments the customers – do they fall into any categories? Frank Karlitschek: Every customer we have cares about security, and privacy, and on-premise, and things like that, but they come from totally different backgrounds. We have lots of universities, we have classic enterprises, like manufacturing and people who really care about espionage and want to protect intellectual property. We have customers from the public sector. For example, a German government is a big customer, so they use it for all the people in the German federal administration, then we have tax service providers who want to offer a service based on Nextcloud, so that’s totally different, but they all care about on-premise cloud basically. This is a thing that is same for everybody. Michael Schwartz: How do you interact with customers? Frank Karlitschek: We do a lot of different things. I mean, we have the usual meetings and phone calls and workshops, but we also do events like an Enterprise Day. It started two years ago, and then last year, and this year it was in Berlin that we had a lot of people coming together for this day and discussing Nextcloud and Enterprise – it was so successful that we do this, at least, two times a year now, so the next one will be in early 2019. That is an event where they can sit together all day and discuss things with the developers directly, then we’ll do something like a Customer Product Advisory Board. This is something that will be announced in a few days. This is a way that bigger customers can directly together with us discuss a roadmap, so they want to have like more influence, and we have a forum for that. In general, I think we are a very, very open, transparent organization. I mean, every customer can look at GitHub and see all the things and what is going on in the planning. So I think we have really a lot of good ways to interact with customers. Michael Schwartz: It’s such a big community, and you can’t have a personal relationship with all the organizations that use Nextcloud – how do you sort of make that balance? Frank Karlitschek: The thing is we really want to create a really good and stable product, so every time someone responds with a serious issue with us, we fix it, it doesn’t really matter if it’s a paying customer, someone from the community. I mean there are open source projects or companies who say, “We don’t really care about the community at all, we only care about paying customers.” But we also care about the community because at the end it makes our product better, which helps everybody. Of course, we provide some kind of premium support for all paying customers, that is why they’re paying us. They actually have a phone number that they can call and direct email communication, and access to like a knowledge base and some other things. This is the premium enterprise support that they are paying for. But, overall, I think we really care about a stable product. If the community also reports on GitHub a serious issue, we fix it in the same way. Michael Schwartz: Can you talk a little bit about how you’re building the team? What are your thoughts about location of team members, and how do you find people who become part of the team? Frank Karlitschek: This is something that’s surprisingly easy for us, because as you mentioned the community, so we have a lot of people that are active on GitHub. So, finding a good developer is pretty easy for us, and also like in other areas, like marketing and sales – it’s far easier because next level is quite well-known, and a lot of people use it already, and this all works out quite well. Of course it requires that you work with a distributor team because when people are hired, they are not all in Stuttgart or Berlin, so we really redistribute it. So, actually lately, I looked into our employee list, and we have employees like in 9 countries at the moment. And this requires that all the processes and everything we do have to work with a distributor team, but to be honest, this is a requirement anyway for all community, because our communities are also distributed. As long as you have the process and the tools to work like with people sitting in home offices and other places on this planet, then it’s quite nice. So I’m really happy with our team. Michael Schwartz: Are you offering 24/7 support? Frank Karlitschek: Yes, we do. An important thing regarding support is that we don’t really have a support team, like other companies that have instigated support team. Our support is directly done by the engineers, which makes our customers really happy because there is directly someone on the phone who actually understands what you’re talking about, which is not always the case with other support organization. And this also helps our engineers to understand customer requirements better. It’s a win-win. Of course, if you work with engineers directly, they are more expensive than, I don’t know, random phone support persons somewhere, but this is what our customers are paying for, they really get like the best possible support. Michael Schwartz: Do you feel like the support revenue is capturing the value that customers are seeing from the software? Frank Karlitschek: I need to clarify something. When we talked about support minutes ago, but we don’t really sell support, we sell a subscription. It’s called Enterprise subscription, it’s very similar to what you buy from Red Hat and SUSE, and other open source organizations, and part of this subscription is support, but there’s more in the subscription. For example, you also get help from us with scalability of the instance, with security, how we can do security reviews, you get the roadmap as we discussed before, you get maybe like special packages for your Kubernetes cluster, or whatever special requirements you have, and so on. You get a little bit more than just support. What we are basically selling is maybe like an insurance. So if you run like Nextcloud in your organization, with like a thousand people, and it’s basically mission-critical, it’s really a big problem if your service doesn’t work anymore. Then you can get from us like a subscription, and it’s basically like an insurance so that you can make sure that it never fails. We deliver everything to you to guarantee that it never fails, and part of it is support but it is small rounded. Michael Schwartz: How about renewals? How’s your experience been with actually customers renewing? Frank Karlitschek: We are quite young, two-and-a-half year old, we don’t have a ton of experience with renewals at the moment, but I think so far, we had like two customers who didn’t renew. And the rest, like hundreds, they renewed it. So it just seems to work out quite well. It’s funny, the feedback that we got from the two customers who didn’t renew the subscription, they said, “Look, your software is so good, it never fails – we don’t need your help. “ which is in a way great, I mean, good that Nextcloud is so stable, but of course it would be nice to have another subscription. Overall, like 98% of the customers, they have their subscriptions renewed every year. Michael Schwartz: So the company is still new, but partners played an important role in the development of Nextcloud? Frank Karlitschek: Partners are important, the different kinds of partnerships of course. I mean, we have more the resellers and the system integrators who basically is the organization that will take Nextcloud, sell it to the market and implement it, customize it, and so on. This is very important because we are a software company, we are not a system integrator organization and we don’t want to become one. For that, we need partnerships. This works out quite well, I mean it’s still early. I can say that we get a lot of requests from companies who want to help us – actually reselling those subscriptions through them is something that also happens, but I expect it becomes a lot more in the future. And then we also have technology partnerships. The thing is that Nextcloud is software that can synchronize files, do communication and collaboration, and other things. It means that you should integrate it into other software that runs in your organization, like backup or storage, monitoring, or identity management as Gluu for example, so I know that Gluu is connected for example for Nextcloud, and this is a great technology partnership. We have lots of them and I really like this a lot. It makes everybody stronger, and I think more open source companies and organizations should like integrate into each other. Michael Schwartz: Elliot Horowitz in one of the previous episode, stressed how critical it was for open source companies to have a cloud offering, certainly the value proposition of Nextcloud is on-premise, control your privacy, control your data, but I bet there are a lot of customers out there who would love a cloud version. And there may be some advantages to operating a cloud service and insights that you might get in using your software. And there’s a lot of friction these days between large cloud providers and the open source software that they’re using and not always contributing back to proportionally – you must have the given some thought to launching a Nextcloud cloud offering – what are your thoughts about that? Frank Karlitschek: Of course, when I say that Nextcloud is on-premise software, it doesn’t necessarily mean that every customer needs to own hosting center in the base. Some customers, they want to host it like somewhere else. This is usually in our case done by partners. So it might be existing partners of the customer, or they maybe work together with like a service provider somewhere. Or we can recommend a service provider who hosts like Nextcloud for them. This is usually the way that it works. We as Nextcloud most likely will never become a hosted service provider for several reasons. First thing is that it might become a distraction for us. So as an organization, you have to focus, if you’re like an on-premise and off-premise organization at the same time, it’s difficult to focus, then also of course our whole strategy, our whole mission is to decentralize cloud hosting, and if you become like the main Nextcloud host, then, yeah, it’s just the opposite of what we want. Also a thing for customers that is not great, because as a customer if you are happy with just like a random hosted version, like Nextcloud, and since it’s hosted by Nextcloud, then I don’t see a lot of value there. Because if they’re happy with that, they can also go to Box, Dropbox, or Google because it’s very similar. If a service provider, or a partner hosts Nextcloud specifically for them, then this is typically something that has some customization for the use case of the customer, or some integration with some co-existing software they have. Maybe to have like an existing identity management like Gluu or something else, then this partner will integrate with Gluu, or integrate like specific cloud or backup or monitoring or auditing requirement, so they can actually do this together with the customer. But if you would become like a one-size-fits-all generic Nextcloud host, then this can’t be done, there’s no way for the customer, they can just go to box.com and get something similar. Is It Okay For Hosting Companies Not To Contribute? Michael Schwartz: Are you worried about, let’s say, a large cloud provider maybe an Amazon or somebody else, making a ton of money off your software, but maybe not contributing anything back? Frank Karlitschek: Yeah. I know that discussion at the moment in this area. Other open source companies and projects who have an issue with that, I mean, what kind of contribution are you talking about, because if it’s like a code contribution, this is something that they have to do because it is HPL license, so if someone would take Nextcloud and do like modifications, or improvements, they actually have to contribute back or at least release patches or the software, so I don’t think that’s a big issue. Of course, someone could take Nextcloud and host it out of our subscription without our support contracts. This already happens, a lot of service providers do this already without paying us – I think it’s fine. It’s just helps to spread the message, it helps the Nextcloud get more users. As long as there are enough customers and partners who work directly together with us, I’m happy with it. Actually we promote it – if you go to nextcloud.com/providers, you’ll see a long list of service providers who offer Nextcloud hosting, and lots of them don’t pay us. I mean, some of them are actually partners, they work together with us and they contribute back, like code, money, and other things. But from lots of them, we get nothing. But I think it’s okay, I mean, it’s a free software, it’s okay – you can do what you want. Michael Schwartz: So what are the biggest challenges facing the founders of new open source companies today? Frank Karlitschek: Oh, there are so many. I’m a product guy, so first of all, I think you need a compelling nice product. If you have a nice idea and something like a nice product, then of course, the next challenge is to create a community around it because without a community, you are a way too small. And this is same for a lot of tech startups nowadays. If you have a great idea and you develop a product, it’s really hard for you to compete against the big guys. And an open source community can’t help with that, because then you are not only like 40 people, like Nextcloud, but you are suddenly 1000 people. And then you can actually compete with the big guys. The next step for me would be to build an open source community, and you have to figure out your new business model. I think this is something that you have to do. I mean, if you don’t do open source and don’t have a community, then you can sell software licenses, which might be easier to sell, but as I mentioned before, I don’t think you can be successful with that because then you’re just too small. You have to stand on the shoulders of giants, you have to work together with the community, and you have to figure out an open source business model. I really enjoyed listening to the interviews of your podcasts, your former interviews of other founders of open source projects and companies. There is so much insight in this area. 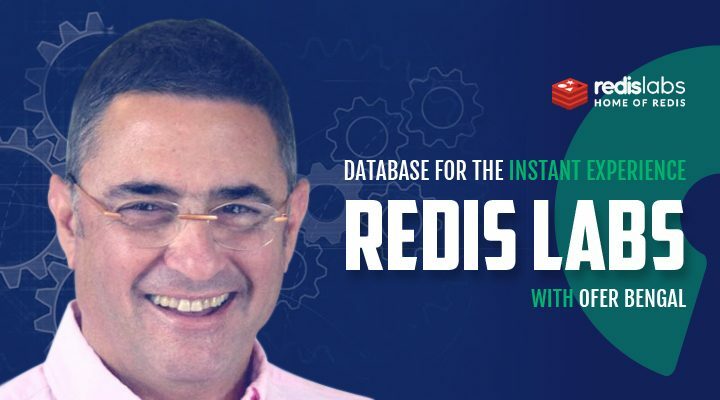 We decided to adopt the Red Hat and the SUSA business models with enterprise subscriptions, but I’m sure there are many other ways to do this. I want to encourage everybody to listen to all of episodes of your podcasts, there’s a lot of insight, with all these questions in it. Michael Schwartz: Thanks a lot, that’s why we’re at it. That’s why we are asking you the hard questions. Michael Schwartz:Do you think Nextcloud is an Underdog? Frank Karlitschek: Depends, I mean, with all these questions, how you define a market. If you look at the open source, self-hosted, file synching and share, than we are probably most likely the biggest, so we are not an underdog. But, of course, if we compare ourselves to like Dropbox, Google and iCloud and box.com, then we are tiny. We are a huge, huge underdog, so really small. They probably don’t even know us, we are just too small. Yeah, it depends on how you look at it. I mean, we had some nice growths in the last few years, but yeah, if we really want to compete against the big guys, then the biggest challenges are in front of us, not behind us. Michael Schwartz: Where do you see the Nextcloud in the next 10 years? Frank Karlitschek: I really hope that we can somehow decentralize the internet and the cloud. Again, I’m really, really afraid of a situation where all the files on this planet are like hosts, like cloud companies – I don’t think that’s healthy and a good situation, so I really hope that Nextcloud can contribute to a world where everything is a little bit more decentralized, self-hosted, and on-promise. I mean, it would be awesome if you could like help with that and become a significant player. If you like present the data of people on the planet or host it on a decentralized federated Nextcloud instances, it would be a great. This is what we want to achieve. Michael Schwartz: Do you have any closing advice for the next generation of open source entrepreneurs? Frank Karlitschek: In general, I would say that being open in your communication, in your planning, and working together with companies and communities – that is really key. I talk with other entrepreneurs and open source, and outside of open source base, and sometimes I hear thoughts that they think they have to have a special idea, they have to be secret and they have to be protective about their planning and ideas because they think that what they have is unique, it is a unique vision that no one else has – I don’t really believe in that. I think if you try to protect your secret, and your organization, and your little room, then you’ll fail. I think you have to be open, and talk about it, and get more people excited, and build a community and a customer base, then this is the only way. So my advice would be to be as open and transparent as possible, don’t be afraid of competition, try to beat your competition with openness and transparency, not the other way around. Michael Schwartz: Frank, thanks so much for your time today. Frank Karlitschek: Thanks a lot. Michael Schwartz: Special thanks to the Nextcloud team for hosting the meeting in Stuttgart. Production assistance from Natalie Lowe. Operational Support from William Lowe. If you’re really liking episode, please post a link to it on social media. 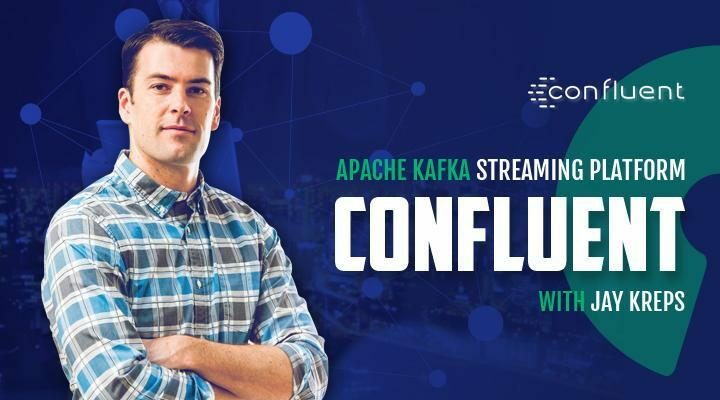 Tune in next week to hear the story behind Apache Flink, with Founder Kostas Tzoumas. It’s a big data company that emerged from the Berlin academic scene to become one of the leaders in the industry.